The collaborative also announced the appointment of an advisory panel that will guide the group's efforts. 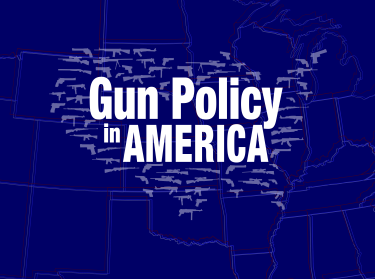 The request for proposals will seek researchers' ideas for projects designed to broaden agreement on the facts associated with gun policy, and support development of fair and effective policies that recognize individuals' rights to own guns. The collaborative will award between $20 million and $50 million in research funding on these topics over the next five years. The 12-member research advisory committee will guide the collaborative's efforts, defining research priorities and ultimately choosing which research projects receive support. Details about the committee are included on the collaborative's website (www.ncgvr.org). The collaborative's research advisory committee is comprised of research experts and practitioners from across the nation, including representatives from law enforcement, government, community, education, health, the private sector and academia. The group will meet periodically to guide the collaborative and make decisions about research proposals. Founded by the Laura and John Arnold Foundation, the National Collaborative on Gun Violence Research is administered by the RAND Corporation under direction of the collaborative's research advisory committee. The Arnold Foundation has pledged $20 million to the collaborative to support high-quality gun violence research over the next five years and is seeking additional donors to ultimately grow the fund to $50 million. Researchers with suggestions about priority gun violence research topics should submit the ideas at the collaborative's website. Morral said the collaborative is structured to ensure high-quality research that is transparent and scientifically defensible. As a result, donors provide funding for research but the decisions about what projects to support are made by the research advisory committee, an independent, nonpartisan group of advisors. Other members of the research advisory committee are Dr. Regina Benjamin, a former U.S. surgeon general; Reginald Brothers, a security expert and business leader; John D. Graham, a public policy professor; Patrick E. Higginbotham, a federal appeals court judge; Guido Imbens, an economics professor; James P. Lynch, a criminology professor; Sally C. Morton, a professor of statistics; Kathleen M. O'Toole, a retired police chief; Barrye L. Price, a retired Army general; Dr. Jeffrey W. Runge, a medical practice leader; and Regina B. Schofield, a nonprofit research administrator. The collaborative's inaugural website includes biographies of the members of the research advisory committee and forms to sign-up for email notifications from the collaborative.